Teachers and other public school staff says assaults have grown over the past two school years. 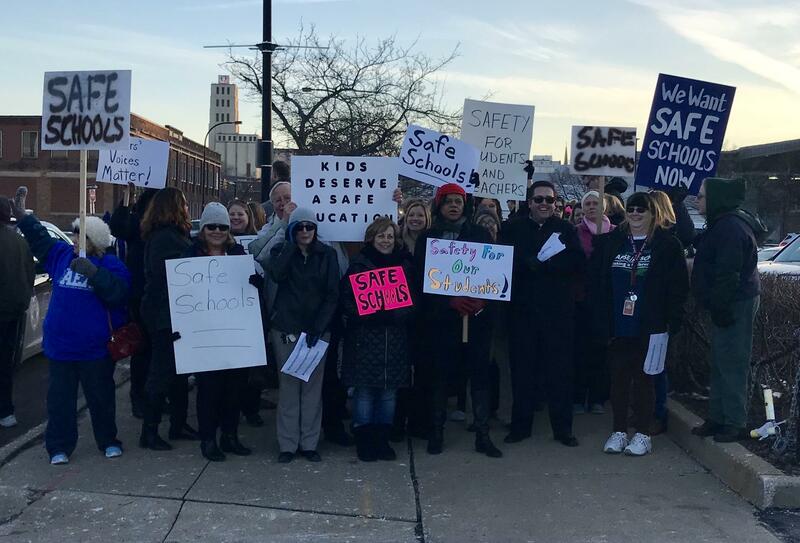 Teachers' union President Pat Shipe says the administration is ignoring a process set up in the collective bargaining agreement in the 1980s. 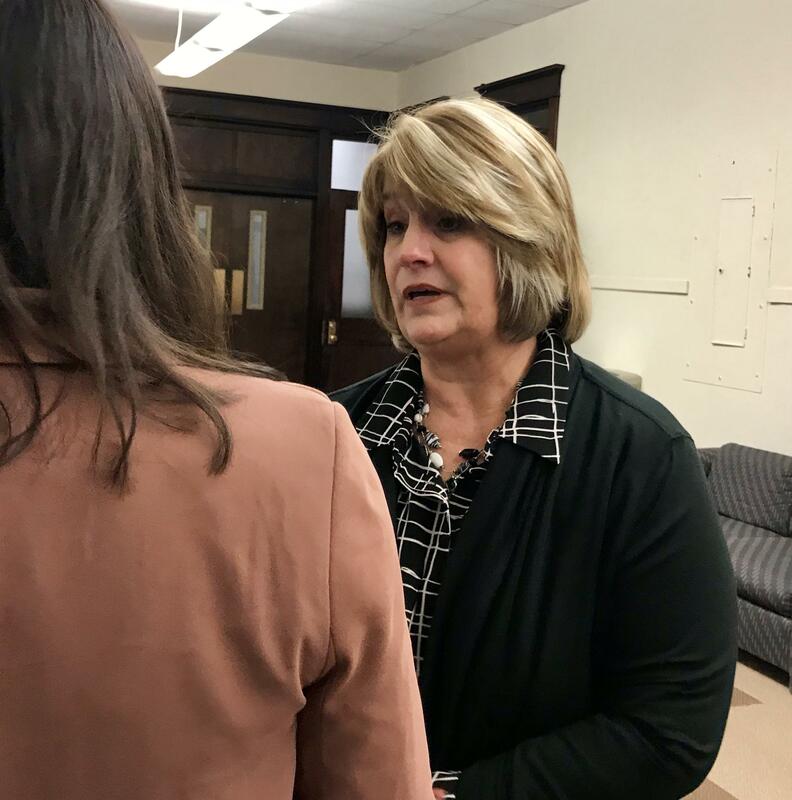 She told school board members and an overflow audience the district is ignoring long-standing policy by no longer removing students who verbally or physically assault teachers and putting them in alternative schools. Instead, she maintains, the students are returned to the same schools – and even classrooms – where the assaults occurred. Shipe says the trouble began escalating last school year. the troublemakers are disrupting education for the more than 98 percent of the students who come to school wanting to learn. 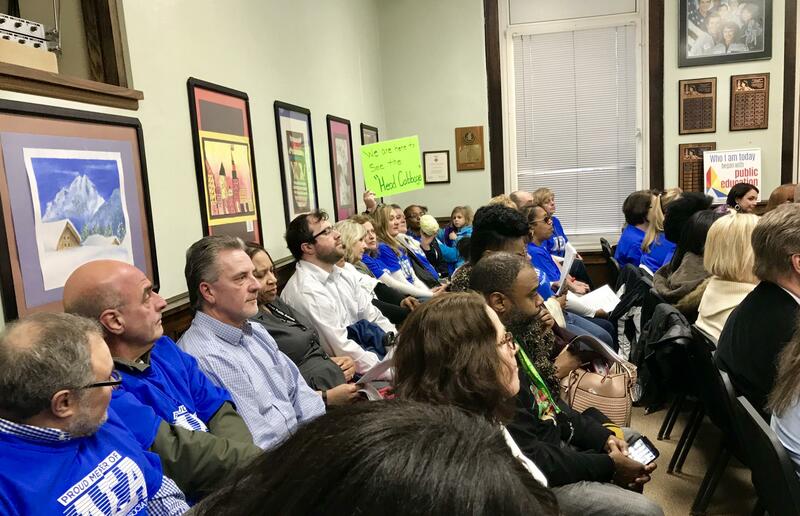 Teachers and other Akron Public Schools employees filled the board room and spilled over into rows of seats in the hallway. The school board has formed a committee to look at a long-term fix, including ways to mediate conflicts between some teachers and students. The Rev. Curtis Walker, a school board member on the committee, says the group will need to determine if the old policy was effective and if it remains so, or if there are other alternatives. Teachers say students have cursed, threatened and physically assaulted them. The district has more than 20,000 students.